BOSTON, MA (November 5, 2018) – (RealEstateRama) — On Saturday, at the 2018 REALTORS® Conference & Expo in Boston, Massachusetts, the National Association of Realtors® hosted its 2018 Appraisal Forum. The forum, officially titled “Demystifying Agent-Appraiser Communication: Law, Liability and Best Practice,” highlighted proper approaches for communication and cooperation between agents and appraisers. Lee focused on clarifying the misconception that real estate professionals are prohibited from speaking to appraisers. In reality, Lee said, no rules or requirements on the federal, state, or agency level prohibit an appraiser and agent from speaking to one another during the appraisal process. However, Lee reminded Realtors® that appraisers and real estate professionals have separate and distinct roles during the home buying process. “Real estate professionals (brokers, agents) have a responsibility to serve their clients, while appraisers are brought into this process exclusively to develop the best appraisal they can. Still, real estate professionals are encouraged to communicate with appraisers in a professional and productive manner, as relevant information from real estate professionals may help an appraiser independently arrive at an opinion of value. However, and most importantly, a real estate professional should never communicate with the intent of trying to influence an appraiser’s appraisal,” said NAR’s Lee. The group also touched on regulations governing conversations between appraisers and agents, while panelists shared anecdotes to illustrate how to avoid liability on all sides of the transaction. 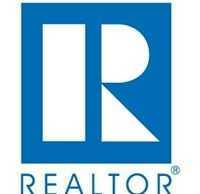 “NAR represents approximately 25,000 state-licensed and certified appraisers throughout the country. Today’s forum was a valuable way for members to learn the right way to communicate with an appraiser without running afoul of appraiser independence requirements from some of the nation’s brightest minds on this topic. “Overall, I am confident that the contents of today’s discussion will generate valuable feedback to the Real Property Valuation Committee going forward, which will benefit everyone in our association,” said NAR President Elizabeth Mendenhall, a sixth-generation Realtor® from Columbia, Missouri and CEO of RE/MAX Boone Realty. “Just because an appraised value doesn’t meet the agent’s expectations, it doesn’t mean it’s a bad appraisal. As someone who works with both appraisers and agents, I hear both sides of the story. This panel discussion allowed for a better understanding of the valuation process to benefit appraiser, agents, sellers and buyers,” Torvi said.